Liberty In America's Founding Moment: - Howard I. Schwartz Ph.D. The current and perennial debate over America’s vision of liberty often turns on the question of how the founders of this country understood individual rights in the founding moment. Central to that discussion is the understanding of liberty in the document written at the moment the colonies declared their independence from Great Britain, namely, the Declaration of Independence. The Declaration, and the views of the Declaration’s author, Thomas Jefferson, are thus key to this question of how the founders envisioned liberty in America. This book offers a fresh perspective on that question. Arguing that history is inherently ambiguous, and that Jefferson fundamentally disagreed with his colleagues, this book throws into doubt the commonplace view that natural rights were at the heart of America’s vision of liberty. 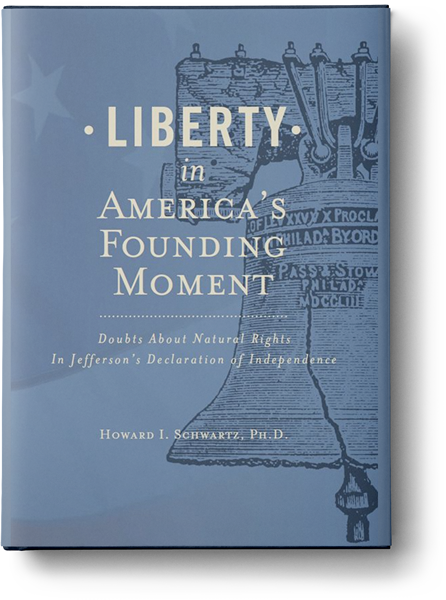 This is a highly significant work because it deals with a critical issue involving the character of the American political tradition, namely, the meaning and status of the Declaration of Independence....The upshot of Schwartz's fine analysis is that the Declaration embraces different conceptions and understandings of rights and that, beyond this, Jefferson's views do not coincide with the modern creedal understanding of our tradition which emphasizes individual natural rights.